Melacare cream is a topical cream which has three active ingredients. It is mainly applied to heal itchiness, redness and swelling caused by dermatitis and as well other different skin conditions. One of the active ingredients is hydroquinone. It’s a bleaching agent and its role is to alleviate dark patches of skin via inhibiting the process in the skin that results in discoloration. The second active ingredient is tretinoin i.e. a retinoid. This compound helps attenuate emergence of fine wrinkles, furthermore is also occasionally used to treat acne. 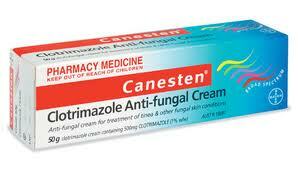 The third active ingredient is mometasone (a corticosteroid) which attenuates inflammation and swelling. How should I use Melacare cream? Melacare Cream is usually applied directly to the skin. Usually your physician will recommend using it only once a day. Generally, one should apply a thin layer of cream onto the skin, followed by rubbing it on softly. It is vital NOT to apply Melacare cream for long-lasting periods since it may result in cutaneous ochronosis – which is permanent! 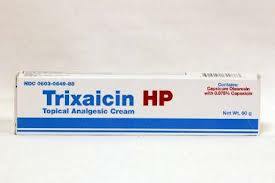 Therefore only apply the cream as prescribed by your doctor or pharmacist. As well, apply the cream only at bedtime before you go to sleep, and wash it off in the morning. Since Melacare cream has hydroquinone, it undergoes strong reactions when exposed to the sun. If one is exposed to the sun while having the cream on, it will thus result in photo-allergic reactions. This will result in darkening of the skin. Thus, it’s advised to apply sunscreen cream if you plan on going outdoors. Failure to do this will result in considerable harm to your skin because it will darken. In the event that you get skin irritation from using the cream, then it’s recommended to stop using it for at least a month. In between, one can resort to homemade natural products. Also it’s good to consume a lot of fruits and vegetables, drink plenty of water and other fluids. All this will help your skin heal and revert to its full health with time prior to resume using Melacare cream. Consult your physician or pharmacist immediately in case you encounter any of the above side effects or other worrisome occurrences. Strictly adhere to all instructions provided to you by your physician or pharmacist while using Melacare cream. Don’t compare usage with other people since optimal and safe prescribed dose can fluctuate from person to person from the condition being treated. Taking any other form of medication, supplements, or herbal products. In case you have any allergic reaction to the product, seek medical emergency right away. Some of the common signs of allergic reactions include chest pains, hives, skin rashes, swelling, trouble breathing or swallowing, etc.